Draft: 2008, Seattle Mariners, 8th rd. August 9, 2017 Frisco RoughRiders released LHP Bobby LaFromboise. July 31, 2017 Frisco RoughRiders sent LHP Bobby LaFromboise on a rehab assignment to AZL Rangers. April 6, 2017 LHP Bobby LaFromboise assigned to Frisco RoughRiders from Round Rock Express. 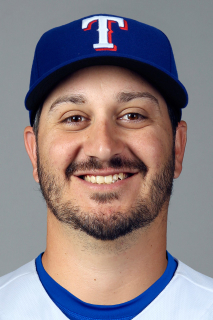 February 26, 2017 LHP Bobby LaFromboise assigned to Texas Rangers. February 13, 2017 Texas Rangers signed free agent LHP Bobby LaFromboise to a minor league contract. February 13, 2017 LHP Bobby LaFromboise assigned to Round Rock Express. June 2, 2016 Lehigh Valley IronPigs released LHP Bobby LaFromboise. February 12, 2016 Philadelphia Phillies sent LHP Bobby LaFromboise outright to Lehigh Valley IronPigs. 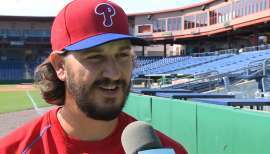 February 10, 2016 Philadelphia Phillies designated Bobby LaFromboise for assignment. 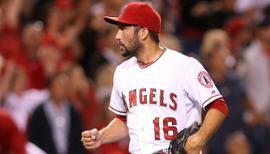 January 29, 2016 Philadelphia Phillies claimed LHP Bobby LaFromboise off waivers from Los Angeles Angels. January 25, 2016 Los Angeles Angels designated LHP Bobby LaFromboise for assignment. December 23, 2015 Los Angeles Angels claimed LHP Bobby LaFromboise off waivers from Pittsburgh Pirates. October 8, 2015 Pittsburgh Pirates activated LHP Bobby LaFromboise. October 7, 2015 Pittsburgh Pirates reassigned LHP Bobby LaFromboise to the minor leagues. September 1, 2015 Pittsburgh Pirates recalled LHP Bobby LaFromboise from Indianapolis Indians. August 1, 2015 Pittsburgh Pirates optioned LHP Bobby LaFromboise to Indianapolis Indians. July 31, 2015 Pittsburgh Pirates recalled Bobby LaFromboise from Indianapolis Indians. May 15, 2015 Pittsburgh Pirates optioned LHP Bobby LaFromboise to Indianapolis Indians. May 11, 2015 Pittsburgh Pirates recalled Bobby LaFromboise from Indianapolis Indians. March 27, 2015 Pittsburgh Pirates optioned LHP Bobby LaFromboise to Indianapolis Indians. 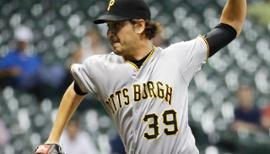 September 2, 2014 Pittsburgh Pirates recalled LHP Bobby LaFromboise from Indianapolis Indians. August 24, 2014 Pittsburgh Pirates claimed LHP Bobby LaFromboise off waivers from San Diego Padres. August 24, 2014 Pittsburgh Pirates optioned LHP Bobby LaFromboise to Indianapolis Indians. August 20, 2014 San Diego Padres designated LHP Bobby LaFromboise for assignment. April 10, 2014 San Diego Padres optioned LHP Bobby LaFromboise to El Paso Chihuahuas. 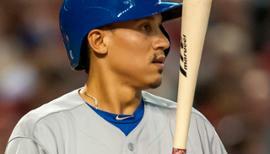 April 9, 2014 San Diego Padres recalled Bobby LaFromboise from El Paso Chihuahuas. April 2, 2014 San Diego Padres claimed LHP Bobby LaFromboise off waivers from Seattle Mariners. March 27, 2014 Seattle Mariners designated LHP Bobby LaFromboise for assignment. March 11, 2014 Seattle Mariners optioned LHP Bobby LaFromboise to Tacoma Rainiers. September 7, 2013 Seattle Mariners recalled Bobby LaFromboise from Tacoma Rainiers. July 23, 2013 Seattle Mariners optioned Bobby LaFromboise to Tacoma Rainiers. July 12, 2013 Seattle Mariners recalled Bobby LaFromboise from Tacoma Rainiers. April 18, 2013 Seattle Mariners optioned Bobby LaFromboise to Tacoma Rainiers. April 10, 2013 Seattle Mariners recalled Bobby LaFromboise from Tacoma Rainiers. March 15, 2013 Seattle Mariners optioned Bobby LaFromboise to Tacoma Rainiers. November 20, 2012 Seattle Mariners selected the contract of Bobby LaFromboise from Tacoma Rainiers. June 14, 2012 Bobby LaFromboise assigned to Tacoma Rainiers from Jackson Generals. March 16, 2012 LHP Bobby LaFromboise assigned to Seattle Mariners. April 4, 2011 Bobby LaFromboise assigned to Jackson Generals from High Desert Mavericks. March 18, 2011 LHP Bobby LaFromboise assigned to Seattle Mariners. April 5, 2010 Bobby LaFromboise assigned to High Desert Mavericks from Clinton LumberKings. June 17, 2009 Bobby LaFromboise assigned to Everett AquaSox from Clinton LumberKings. June 17, 2009 Bobby LaFromboise assigned to Clinton LumberKings from Everett AquaSox. May 26, 2009 LHP Bobby LaFromboise assigned to Clinton LumberKings from Everett AquaSox. May 22, 2009 Bobby LaFromboise assigned to Everett AquaSox from Clinton LumberKings.